Anchored by a 40,000 square foot Metro grocery store, the Gardiners Town Centre in Kingston also includes Tim Hortons, Wendy’s, Orange Theory Fitness and Play It Again Sports. The open centre at Gardiners and Bath roads is now looking to add new retailers and services to their tenant mix, including restaurants, medical or wellness uses. Two existing units. 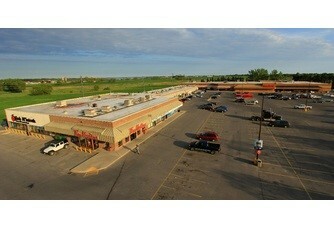 Each of about 2000 square feet are currently available, along with a pad opportunity offering about 6,000 square feet. The pad, which is currently under development with possession anticipated for Fall 2019, can be demised to 1,500 square foot units. Easily accessible at the busy west end intersection of two major arterial routes, the centre has high visibility and traffic counts. Nearly 100,000 vehicles pass through the intersection daily. Population within a five kilometre radius is 72,805 in 32,048 households, with an average household income of $95,516 per annum. Stacey MacDonald at Cushman & Wakefield Kingston is handling the leasing.